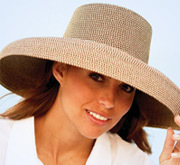 Welcome to Sunsafe®, leaders in sun protective fashion since 1994 when we were established in Miami Beach, Florida. Our goal is to provide well-designed sun protective fashion including sun protective clothing, sun protective swimwear and sun protective hats that will keep you looking and feeling younger, longer. We are also serious about educating the public about sun protection and sun safety. 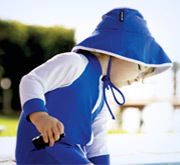 We participated in the establishment of the US Standard for sun protective clothing. All of our products are made with SunSafe® Fabrics which are tested and certified to provide the highest level of protection available. Specifically, a protection level of 50+ upf, which means that they block 97.5% of both UVA and UVB rays. We were the first company to manufacturer sun protective swimwear in the United Stated and to promote local standards on practicing Sun Safety.